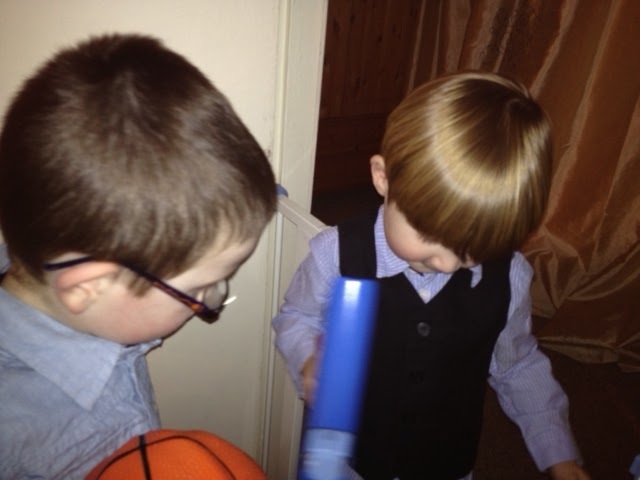 The boys wanted to look their best for Christmas dinner at their Grandma and Grandpas, with the husbands extended family. 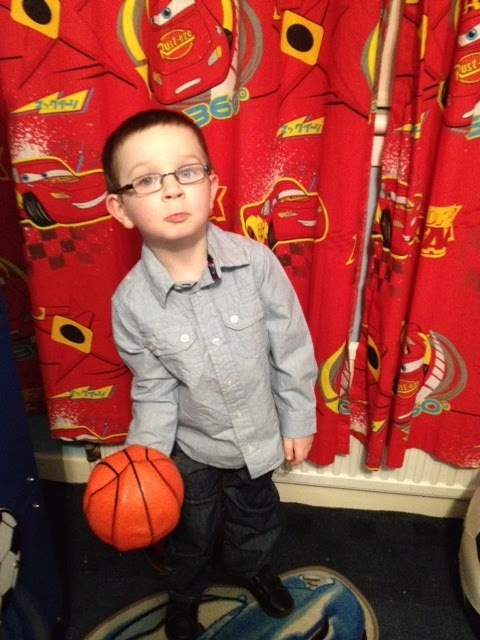 A few days before Christmas we were sent some clothes for the boys from Boots Mini Club Range. These were perfect and the boys loved them. Lucas was wearing a blue striped shirt and some very cool blue jeans with a belt. The shirt is made of material which doesn’t crease easily and washes well. Considering the amount of Christmas dinner that was spilled it, it looks like new. 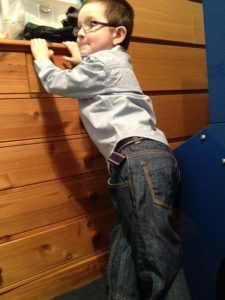 The jeans are soft but thick, I always worry about jeans being rough on their delicate skin, but there was no need with these. All in all I think he looks great, a proper little boy. 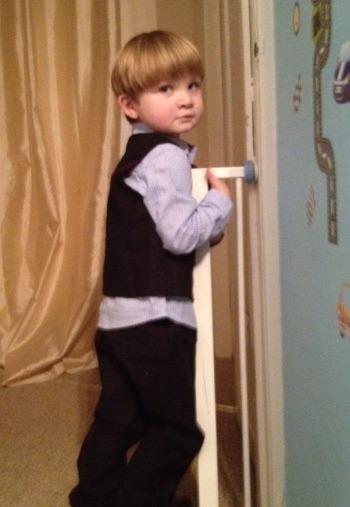 Tyler wore thick black pin striped trousers, with a shirt and a very cute waistcoat. He looks so adorable. He loved the outfit too, he kept saying look at me, look at me. Not that he loves himself or anything. These clothes were perfect for him, hard wearing, soft and didn’t look crushed after he had crawl about with his latest car on the floor. The boys discussing their outfits in depth. 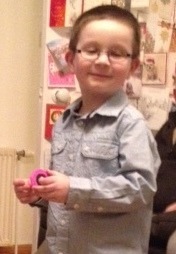 I would highly recommend clothes from the Mini Club range at Boots. They wash well, don’t look crushed and are hard wearing. 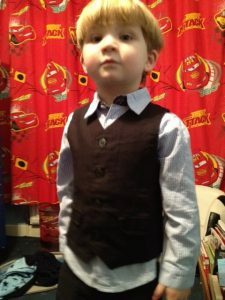 I think my boys look very handsome and I will be buying more, especially just now with their sale on. Why not have a look for yourself. Disclaimer:- I was sent two outfits, but this did not effect my review in anyway.